InnoSpire Mini is small enough to fit in the palm of your hand providing a great all around compressor nebulizer solution for home and travel. It comes with a handy carrying case; but it can be carried in a purse or backpack too. Additional convenience features like a top-down air outlet and a built-in nebulizer stand make the InnoSpire Mini a true standout among compressor systems. The InnoSpire Mini comes complete with two SideStream Plus Reusable Nebulizers for up to a year of treatments before replacements are needed. 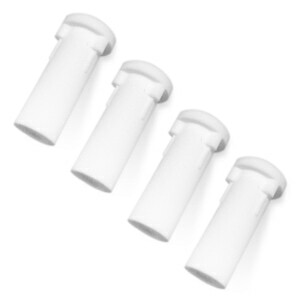 SideStream Plus breath-enhanced, reusable nebulizers feature an easy-action inspiratory valve that opens on inspiration to boost medication delivery and closes on exhalation, preserving medication and reducing waste. Significantly less pressure is needed to open the inspiratory valve, making SideStream Plus ideal for weak breathers, pediatric and elderly patients. At DirectHomeMedical each InnoSpire Mini package comes with both AC and DC cords so it's ready for use at home or on the road from the cigarette style power sockets found in most cars, boats, trucks and other vehicles. If your adventures take you away from fixed power sources we also offer InnoSpire Mini with a rechargeable battery pack so you can literally take your treatments anywhere! The optional InnoSpire Mini lithium-ion battery pack will operate the compressor for multiple treatments, up to a total of 90 minutes, between charges. Recharging is quick and convenient, taking about 6 hours for a full charge from standard AC or DC power sources. In the Package InnoSpire Mini Compressor with AC Power Cord, DC Power Cord, Carrying Case, Two Sidestream Reusable Nebulizers, Tubing, Filters, Printed Instructions & Manufacturer's Warranty. Integrated battery pack and additional custom options available in shopping cart. Battery Notes This battery can be recharged using your compressor nebulizer's AC (wall) Power Cord or 12V DC Power Adapter. DO NOT charge the battery when it is attached to the compressor. Store fully charged in a cool dry place. For complete instructions review the documentation that came with your equipment. Took awhile to find one reasonably priced that will work in Iceland. Thank you. This is exactly what I was looking for and you did not disappoint me. Never received InnoSpire Mini Portable Compressor Nebulizer! I am impressed as to how efficient and effective the tiny nebulizer worked. I will only buy this brand moving forward. It exceeded my expectations. Works the same as a larger one. Is great if you travel, small ,compact and price is reasonable. The mini doesn't have a visible air intake so the unit and plug become very warm. As someone who has to do 1-3 nebs twice daily the 30 min. usage limit is difficult. 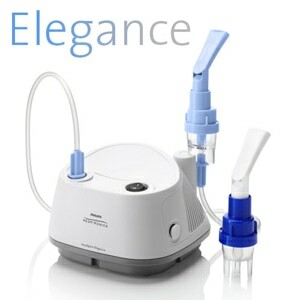 The sidestream nebulizer included with the unit "spits" throughout treatment. I do like the size & portability. User friendly site. timely delivery. Clear and easy instructions for use and care. Works great! and I've been using nebulizers since I was a kid. (I'm 53.) hands down. Easy to travel with, great battery life, can't say enough good things about it! Perfect for breathing treatments on the go! I bought this for my son,who has COPD, and he has told me it works very well. He is able to take it to work and has used it there. It has exceeded our expectations. Great service. The mini works as well as my full size nebulizer. Nice item.....small, quite and delivery of meds is steps above last neberlizer. Glad that I ordered it. We use this compressor as a travel compressor/neb for our toddler and it works great. The compressor is compact and lightweight and the accompanying bag has space to accommodate neb cups. Fits nicely in a backpack for airline travel. Also works great for middle of the night nebs when we don't want to lug around our regular corded panda bear compressor. The best thing I have ever done for myself was to purchase the InnoSpire Mini Compressor Machine Kit with SideStream Plus Reusable Nebulizer. It has given me the freedom to be able to do my neb treatments and still venture out of my home. It works great and the people at Direct Home Medical are great to work with! I upgraded from my mini elite to the Innospire mini and am pleased with it's size and functionality. This device is compact and fits well in a backpack, purse or center console. The Innospire mini is perfect for everyday emergencies as well as travel. I love that it comes with an adapter for the car - this gives my comfort in times of emergencies, power outages and even while camping. I was recently put on nebulizer therapy and received a Innospire Essence nebulizer. I wanted something more portable for camping and trips so I ordered the Innospire mini. It's great and does the job. I got the battery so it could be totally portable and just got back from 3 days of camping. It worked fine! Love it! I purchased with unit for my father who had been using the smaller unit the Innospire replaced. He has been very happy with both. Be sure to read package instructions. You are to charge the battery separately when disconnected from the Innospire. Travels well in its own little case and it easy to use. It takes about the same length of time to do a treatment as the home aerosol machine. Everything from start to finish exceeded my expectations. Order arrived faster than anticipated and I was very grateful. Thank you. Excellent company to do business with. Not what I was used to, but it does the trick. This thing is LIGHT. Like don't set it down on a high, flat surface or KABOOM! Yep, it's a crawler. Though it crawls surprisingly well, it took me three full treatments to "get it down". The mouthpiece is awkward, and if you don't breathe steadily, it will stick shut or get medicine in your mouth. It has blown quite a bit of medicine out the top hole when I exhaled too powerfully. There's a rhythm to it, and you get used to it. It doesn't have a lot of power, and it isn't super quick. I think it's good for travel and probably not everyday use like I'm doing. The battery lasted two treatments before I recharged. The treatment took a little longer with the battery. All in all, it's easy to clean and store plus it's nice to have while traveling or exerting yourself outdoors. I hope it lasts awhile! I am truly impressed with the ease of using the website and the speed of delivery. The price is right and the product meets all expectations. Great nebulizer, but even better service! This (Innospire Mini) is not the nebulizer I orginally ordered. The (Mini Elite) one I ordered was unavailable and they offered to substitute this one instead. They shipped it very quickly and the machine is really quiet. This is the best nebulizer I ever bought!